The Ron Fellows Performance Driving School at Spring Mountain Motor Resort is one of the best places for Corvette fans to learn how to properly drive their car around a race track. The school runs a special program for C7 Corvette owners specifically, which allows the initial retail purchasers of new C7s to attend a two-day driving school at Spring Mountain that includes dynamic car control exercises and lessons on proper cornering techniques and other driver skill development. 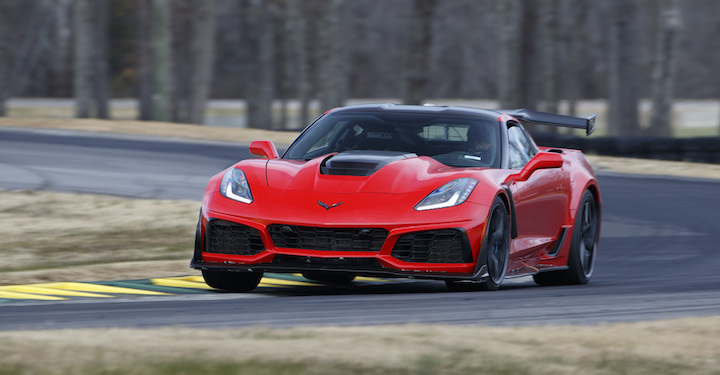 Last year, the Ron Fellows Performance Driving School organized a special event after Chevrolet needed about 20 examples of the 2019 Corvette ZR1 delivered to Spring Mountain. The lucky 2019 Corvette ZR1 drivers met up in Detroit before setting off on a lengthy road trip to Spring Mountain in Pahrump, Nevada. This gave them the opportunity to break the brand-new ZR1s in before they were due to hit the race track later in the week. Check out the 2019 Corvette ZR1 road trip video embedded below. Subscribe to GM Authority for the latest Corvette news, Chevrolet news, and ongoing GM news coverage. My dream car.1977 Corvette was my first car I bought with my own money , I loved the Corvette and wanted to work for GM because of that car. I had 18 years just about with GM , after being laid off the month of Christmas , my spirit and passion for that car is gone , I loved Motorsports ,that dream is over. I’m sure Ruess and GM executives are loving those Corvette road trips with their kids. Don’t let a bitter taste ruin passion. I wouldn’t take the layoff so personally… that’s just the way businesses are though. But the Corvette has no prejudice, it gives you what you’re willing to give it and is very rewarding. You should reignite your passion and have fun! Forget about the past, it’s over and done with.